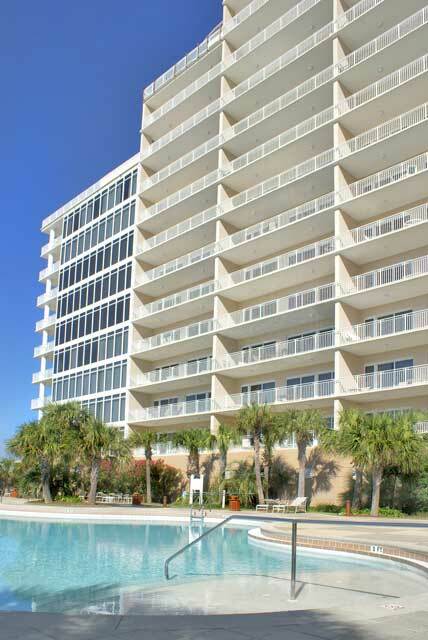 Sterling Beach condominium was completed in 2003. 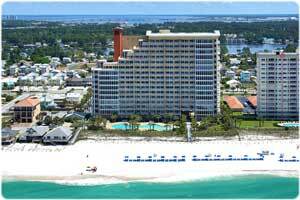 It is located on the east side of Panama City Beach. 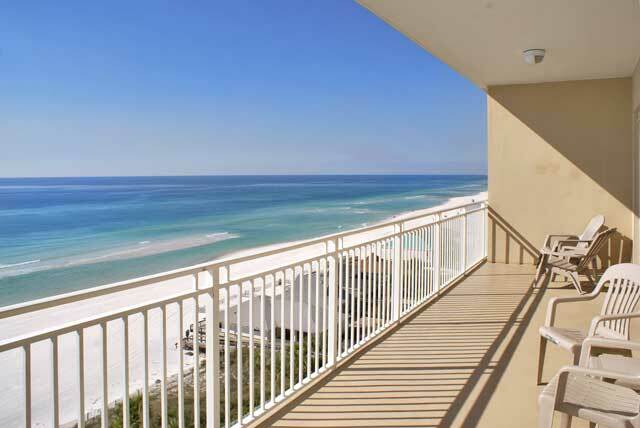 The condo holds roughly 300 feet of pristine gulf frontage. This is a low density condominium that includes 92 residential units on 17 floors. Sterling Beach contains a fully staffed lobby and reception area. 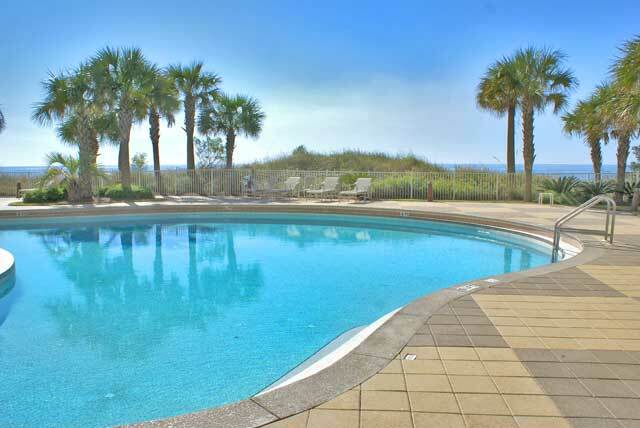 This condo sits on just under five acres of gulf front land. 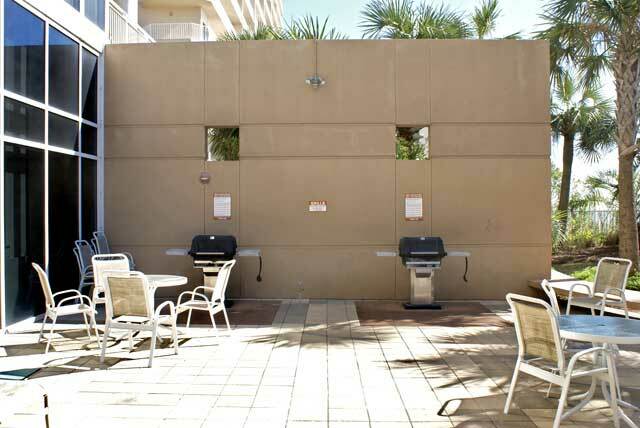 There is ample space provided for the gulf front pool, hot tub, and grilling area. 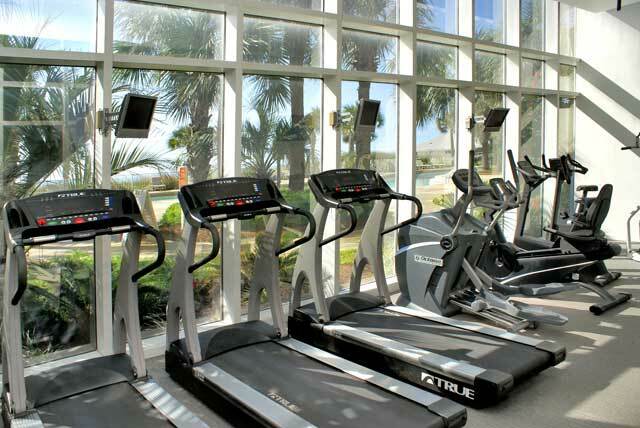 A fitness center located on the ground floor overlooks the pool area and the Gulf of Mexico. 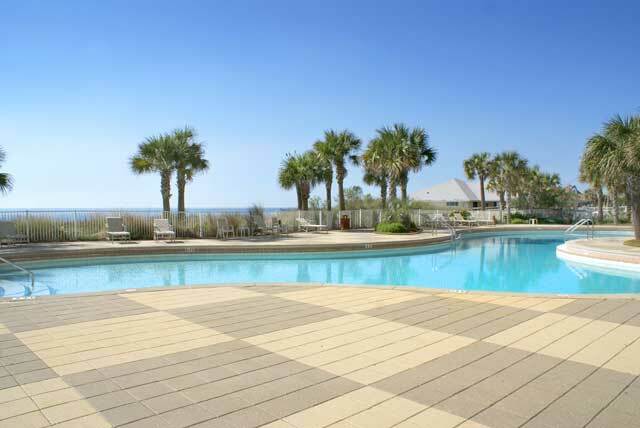 Sterling Beach condominium has two, three, and four-bedroom floor plans. 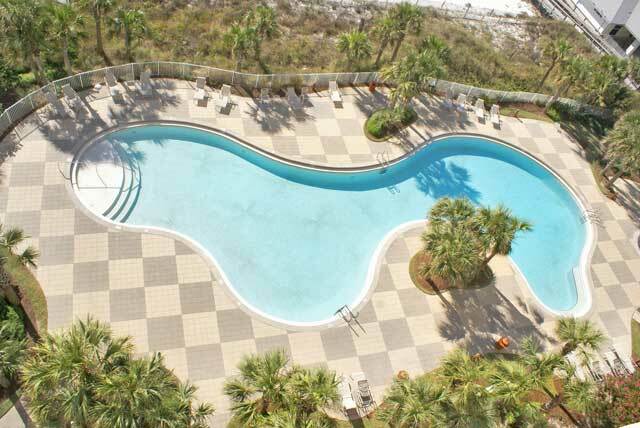 This condominium features floor plans that are much larger than many others in the Panama City Beach area. The penthouse units have oversized terrace balconies that range from 1100-1669 square feet. 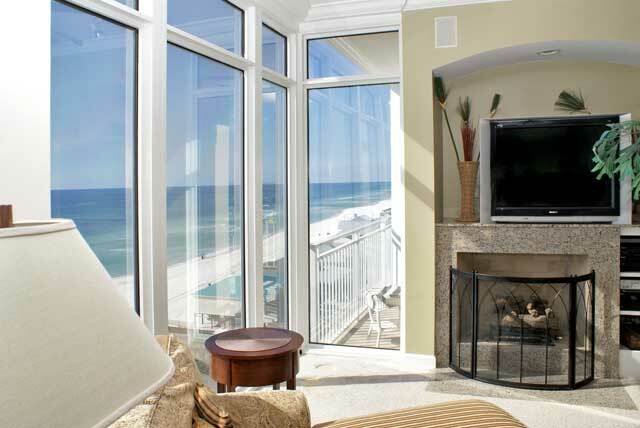 The end units are also cornered in glass, giving you a spectacular view all the way down the beach. Sterling Beach is clearly a family oriented condominium. It is managed very well gets raving reviews from many guest and owners. The sundeck runs the length of the condominium. It contains a nicely sized pool, hot tubs, and grilling area. The balconies are nicely sized and there is a lobby reception area staffed by the onsite rental department. 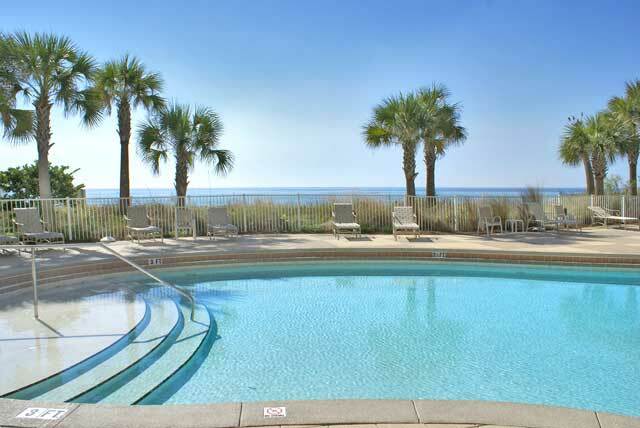 Sterling Beach also has a fitness area that overlooks the sundeck, pools, and the gulf. 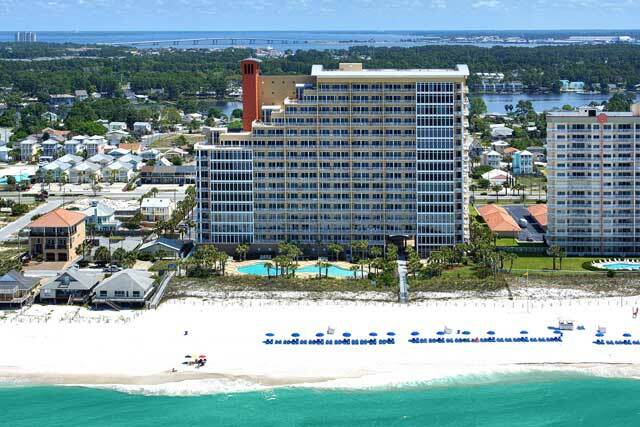 Sunrise Beach condominium has two and three, and four-bedroom floor plans. These floor plans contain more square footage than many others in the area. 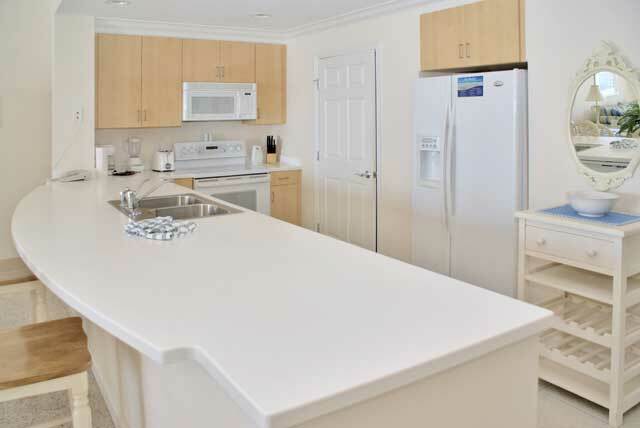 The two and three-bedroom floor plans are very open and have an oversized kitchen bar. 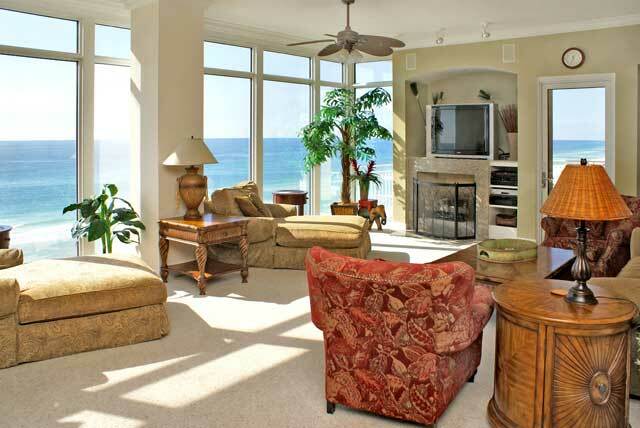 The four bedroom floor plans put almost every other four bedroom on the beach to shame. There are also three separate penthouse units. Two-bedroom condos (named the Captiva floor plan) contain 1486 square feet heated and cooled and a 257 square foot balcony. Three-bedroom two-bath condos (named the Biscayne floor plan) contain 1644 square feet heated and cooled and a 259 square foot balcony. Three-bedroom three bath east end units (named the Dauphine floor plan) contain 2318 square feet heated and cooled and 365 square feet for both balconies. This floor plan has a second master bedroom with its own private balcony that can be used as a separate lock out unit. The west end units four-bedroom four bath west end units (named the Amelia floor plan) contain 2725 square feet heated and cooled and 268 square feet for both balconies. It also has a bedroom that breaks off as a separate lockout unit. Now we get to the penthouse units. 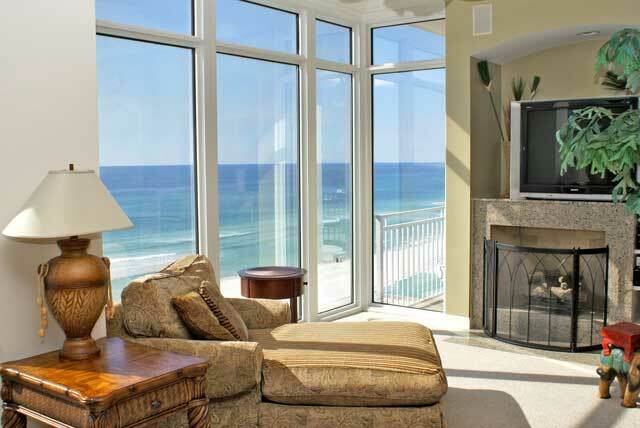 While there are condominiums in Panama City Beach that use this title simply for there top floor, Sunrise Beach condominium actually has true penthouse units. The Aruba terrace penthouse is a four-bedroom four and one half bath west end unit on the eleventh floor. It contains 3151 square feet heated and cooled and a 1669 square foot terrace balcony wrapping around the west side of the building. The Boca Grande terrace penthouse is a four-bedroom three-bath west end unit on the fourteenth floor. It contains 2481 square feet heated and cooled and a 1310 square foot terrace balcony wrapping around the west side of the building. The Catalina terrace penthouse is a three-bedroom three-bath west end unit on the sixteenth floor. It contains 2303 square feet heated and cooled and a 1326 square foot terrace balcony wrapping around the west side of the building. 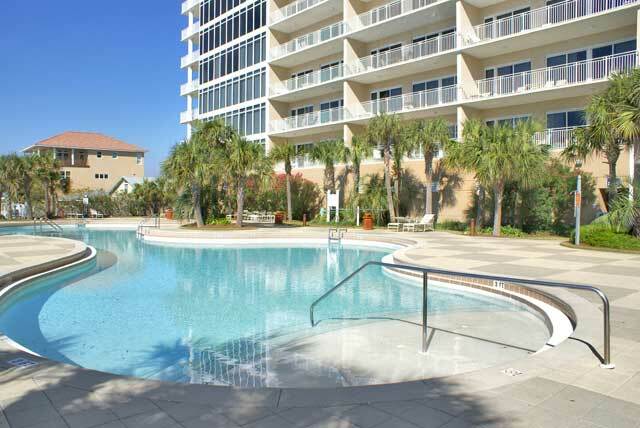 Sterling Beach Condominium is located on the east side of Panama City Beach Florida on Thomas Drive.